I don’t do many big working knives. Sometimes I’ll do a big fancy knife, but not often a knife made for chopping through brush, splitting kindling, or other camp chores. 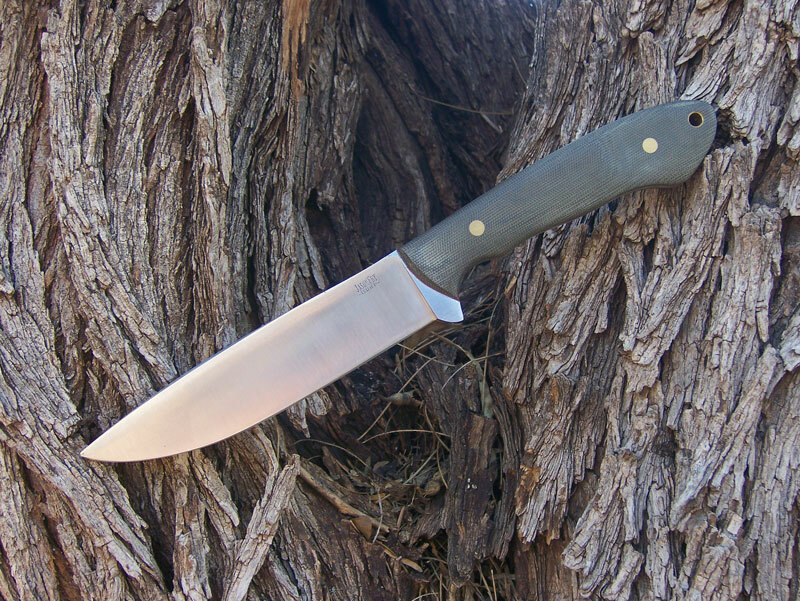 This knife is a camp knife pattern built from 3/16 1084 carbon steel with a cork belt satin finish. 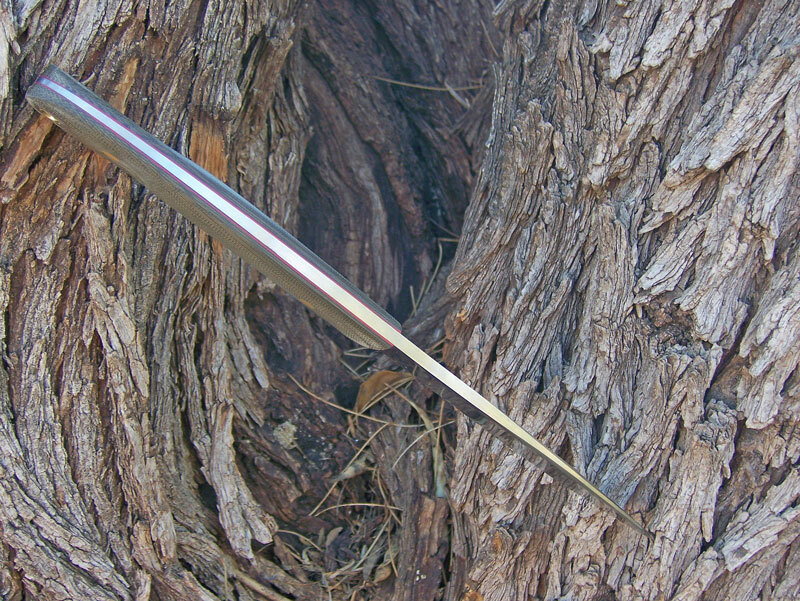 The swedged blade is a full 6 inches long, and the overall length is 11 3/4. The blade is flat ground, with an ever-so-slightly convexed edge. The handle is contoured green canvas micarta, with red liners on a tapered tang. 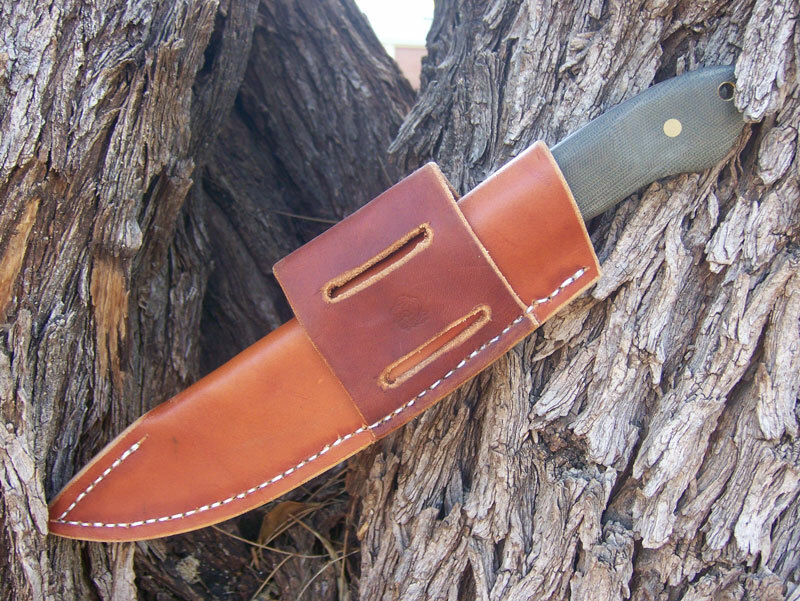 The versatile leather sheath is configured for right or left hand, vertical or horizontal carry.